This graphic appeared on the rear of the official Exeter City Council guidebooks for about 15 years, from the 1920s to 1942. Magdalen Street before it was redeveloped. People walking in Topsham-road and Weirfields yesterday morning were much alarmed by seeing a man about fifty years of age, shouting and singing, and waving a short hedge stick in an excited manner. 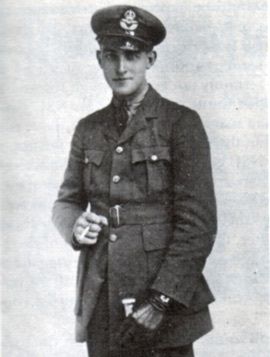 He was without a coat and hat. Mr. J. W. Billiatt, the last survivor of the Stuart Expedition which crossed Australia in 1861-62 and opened up the continent for telegraph and railway, died at Exeter on Sunday, aged 76. There was an unusual and regrettable scene at Heavitree, Exeter, last night, the sequel to which will be heard in the City Police Court. It appears that about half-past nine P.C. Bishop bad occasion to take a man into custody. Two men were about to enter a public-house, and one of them was advised by the constable not to do so. His companion joined in an argument with the policeman, and eventually the first man was taken into custody. 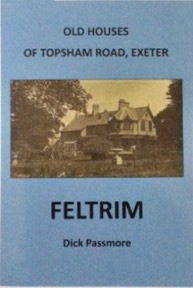 The former ‘Feltrim’ or ‘Feltrim House’ once the Exeter home of Dr. Barnardo’s, stood in Topsham Road, on the present site of Norwood Avenue, until it was destroyed in the Exeter Blitz in 1942. This is a brief history of the property, including numerous rare black & white and colour photos of the interior and exterior and the extensive grounds”. The book is 40 pages, approx 8” by 6”. 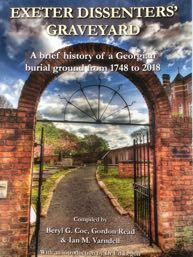 The cost is £4.50 plus £1.75 postage for one or two books. For every copy sold, £1 will be donated to the cancer charity FORCE. Exeter Memories has a Page and a Group on Facebook. The group is for people to swap memories of living in the city – at the moment, the 1960s and 70s are very popular. You can also follow #ExeterMemories on Twitter, where the latest pages are promoted and events that happened on the day are linked. Exeter Memories has never had any Google ads, nor any other form of income generation. To help finance the hosting of the site I have added three downloads, that can be purchased for £2 each. Click on the PURCHASE button on any page to see the downloads. There is the choice of seven large sized, hi-res map files of the city, or two eBooks — Charles Worthy's The History of the Suburbs of Exeter and the charming James Cossins' Reminiscences of Exeter Fifty Years Since. Both books can be purchased in ePub (Sony, Nook etc) format or Kindle format Screen readers can also be downloaded for your computer - see free Adobe Reader. 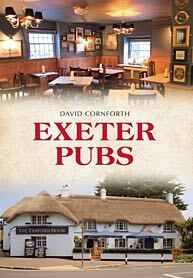 Please support Exeter Memories by purchasing a download.